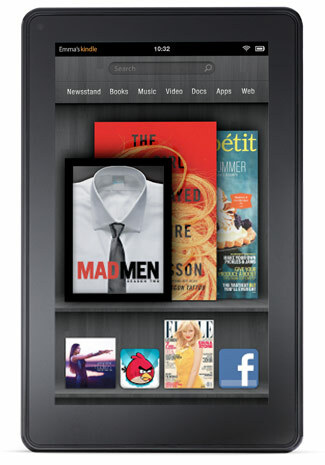 Amazon’s $199 Kindle Fire has taken charge of the tablet competition and quickly risen to become the #2 best selling tablet, after Apple’s iPad 2. A new report by IHS has projected that the Kindle Fire will assume a 13.8 percent market share of all tablets sold by the end of the year, which compares favorably with Samsung and Barnes & Noble who both occupy less than 5% market share. The Apple iPad still has a stronghold on tablet sales, with the iPad 2 currently making up two-thirds of all tablets sold. The report makes note of the fact that Amazon are selling the Kindle Fire at a loss – the device sells for just $199, but costs $201.70 to manufacture. While Amazon plans to recoup their costs in sales of physical goods via the Kindle Fire, other Android tablet makers, who rely on the profit from the hardware itself, are unable to put a tablet to market at such a competitive price. The report also speculates that Apple may respond to the Kindle Fire by lowering the price of the iPad 2 as well as launch a new iPad 3 sometime in the new year.